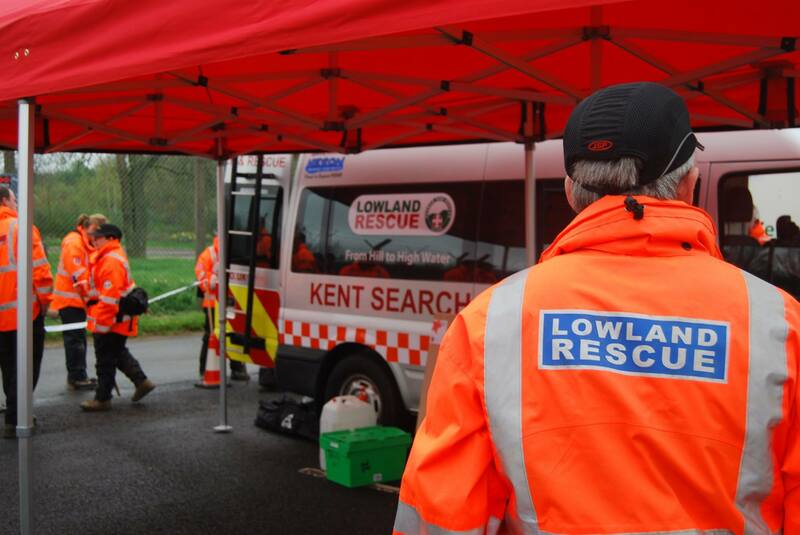 The Search Manager has the overall responsibility for liaising with Kent Police Search Managers (POLSA) and coordinating the entire search acitviity and all the resources made available to them. The Search Manager will determine a strategy for the search and therefore the areas that need to be searched. These areas will then be allocated as search tasks to the various search teams at their disposal. This will involve the Search Manager giving each Team Leader a briefing of the Missing Person and the search task. This involves ensuring that the Team Leaders are fit and well to perform the task, adequately equipped and can translate the briefing they are given to the members of their teams. The Search Manager is qualified to the ALSAR National Standards and needs to be proficient in all aspects of search and search strategy as well as the skills expected of a Team Leader. Throughout the search activity the Search Manager must plan and direct all activities, responding to circumstances as they change and manage the Control Point, ideally with the assistance of a Search Planner and a Search Controller, although they are able to perform this function as part of their role. The Search Manager must ensure that a de-brief is received from each Team Leader when they complete their search tasking as this will play a part in determining how the search will proceed. Finally the Search Manager must ensure all associated search related paperwork is completed and passed to the Police. *The combination of the Search Planner and Search Controller qualifications makes the recipient a Search Manager. There is a Skills for Justice Award available for this role.